If you want to move to San Jacinto, California and are looking for real estate and for the ideal house, learning a bit more about the city will certainly come as beneficial to you with the real San Jacinto Real Estate Agent. 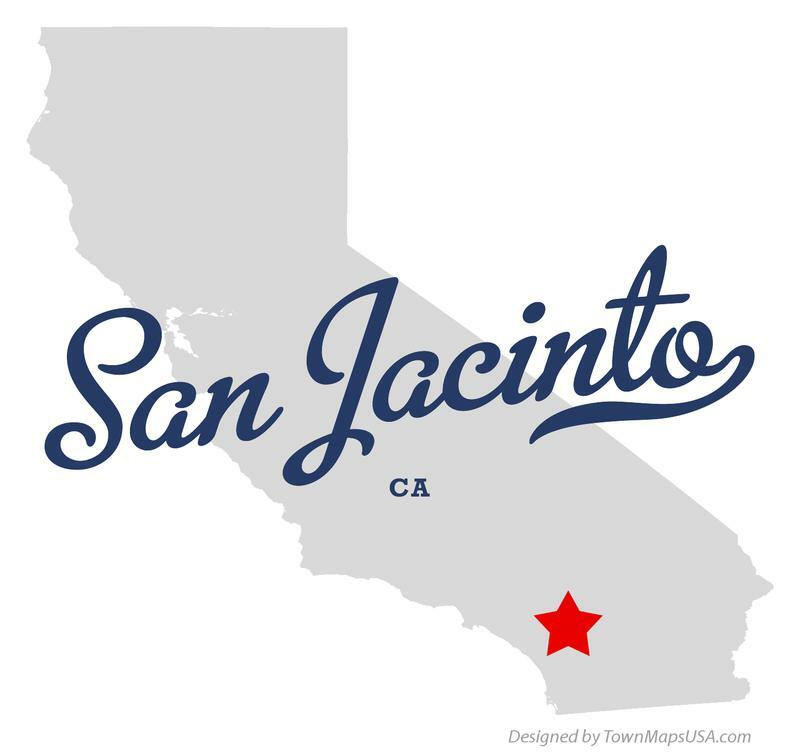 San Jacinto is a small city in California, located in the Riverside County and named after the Saint Hyacinth. The city proudly shares its name with the San Jacinto Valley which is located at its north end with the popular San Jacinto Mountains. The climate in the city of San Jacinto, California is pleasant and moderate. With 342 days of sun, it offers warm summers and mild winters. In other words, the climate in San Jacinto makes this place ideal for living and always greeting its citizens with sunny days. San Jacinto is located at the base of the San Jacinto Mountains in the east and Santa Rosa Hills to the south with the San Gorgonio Pass to the north. The elevation on average is 1500 feet and encompasses an area of 25.3 square miles. It was also named after Saint Hyacinth and is located at the north end of the valley. The city was founded in 1870, and was incorporated on April 9, 1888, making it one of the oldest cities in the county. San Jacinto is also home to Mt. San Jacinto College, which serves as a community college and has served the valley and the Inland Empire since 1965. San Jacinto has been undergoing a huge expansion and will soon be home to part of the Mid County Parkway, a new major transportation corridor in Riverside County which is expected to bring new retail developments to the valley. San Jacinto is Home to a record number of parks and trails through the city. Most new communities feature their own parks and recreation fields. Most notable park is Regional Park and Sports Center. The heart of Valley-Wide Recreation & Park District is located at the north end of the Valley in San Jacinto on Esplanade. A 36-acre park, home to the 22,000 sq ft Sports Center. Regional also features lighted tennis courts, horse shoe pits, outdoor basketball and volleyball courts, batting cages, picnic facilities, six soccer fields and seven ball diamonds with four of those lighted. The Francisco Estudillo Heritage Park is the site of many city sponsored events, most notable is the annual Agricultural Festival, during which the mansion is open for tours. Jan 2, 2002, the City of San Jacinto announced the placement of the Estudillo Mansion and the Francisco Heritage Park on the National Register of Historic Places and on the California Register of Historic Resources. This is only the third Riverside County site to receive this honor. The mansion was built in 1884 by Francisco Estudillo, Jr. The mansion and a twin mansion built by his brother Antonio Estudillo, near Soboba Hot Springs are all that remain of a 35,000 acre Mexican land grant given to their father, Jose Antonio Estudillo in 1842. Francisco Estudillo was San Jacinto’s first postmaster and was also appointed Mission Indian Agent for the Federal Government, responsible for 32 reservations in southern and central California. He was elected to the local school board and in 1890 was elected San Jacinto’s second mayor, serving until 1892. Many of the Estudillo family married into other early famous California people such as the Pico family. There are many descendants and two reunions have been held at the mansion. After passing through many owners, the mansion was purchased by the County of Riverside in 1992. It had been severely damaged by the Landers-Big Bear earthquakes on June 28 of that year. 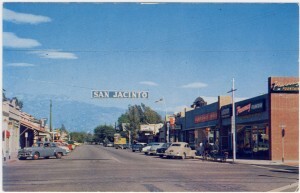 The County turned ownership over to the City of San Jacinto in 1998. Members of the Civic Federation, Chamber of Commerce and Women’s Club decided, in 1939, to display early California and Indian artifacts for the enjoyment of visitors to the Valley during the Ramona Pageant. Ken Kreigh, local artist and rock mason, donated his recently remodeled building for the exhibit. Response was so enthusiastic that the citizens petitioned the City to take over the operation of the Museum. In 1978, when budget shortfalls threatened to close the Museum, local residents formed the non-profit San Jacinto Valley Museum Association to support the Museum. In 1842, Jose Antonio Estudillo received a land grant to the entire valley from the Mexican government. In the 1860s, the Estudillo family began selling off portions of the rancho, and a small American community began to form. In 1868, local residents petitioned to form a school district, and by 1870 a store and post office had been established. In 1883, the San Jacinto Land Association laid out the modern city of San Jacinto at Five Points. The railroad arrived in 1888, and the city was incorporated that same year. The local economy was built on agriculture for many years, and the city also received a boost from the many tourists who visited the nearby hot springs. The city and its residents helped to start the historic Ramona Pageant in 1923, and have supported the production ever since. The Museum also maintains a large collection of historic photographs and memorabilia, which is available to researchers. Group tours are available by appointment. The population present in San Jacinto, CA is diverse. With a current number of 45,563 people, the population in this city has grown a lot since the 90s, and the median age of the citizens is 33.6, while the average household size counts 3.38 people. With this in mind, it is safe to conclude that the homes in San Jacinto, CA are filled with families of 3 or more people. Speaking of the demographics, San Jacinto is also proud to have a wide job base which includes the manufacturing sector – but also the non-manufacturing sector which is focused on agriculture, retail and support services. The manufacturing outputs come in form of products that include electronic components, mobile homes, casting as well as assembly parts. The most valuable industries in the city are retail, service as well as medicine – while the general labor in the area includes both professional, semi skilled and skilled workers. Some of the important names of companies operating their business with manufacturing include Skyline Corporation and Edelbrock Corporation. The names of companies present with non-manufacturing locations include Wal-Mart, Stater Bros, Cardenas Market, The Country Club of Soboba and others. San Jacinto prides itself to be among the oldest communities in California that stretch back to the earliest days of the County. Because of the pleasant weather, sunny days as well as the fertile land, the territory of San Jacinto has been a home to many Native Americans, Spaniards, Mexicans and ultimately Americans – each of which nation blending in with the atmosphere and giving the city a special character which is held up to date. The early history of San Jacinto as a city begins with the native people settling in the Valley thousands of years ago, and mainly hunting and gathering supply. Afterwards, there were the Spanish explorers entering the Valley in the 1770s. 50 years later, the Mission San Luis Rey established a cattle ranch in the Valley, which was named St. Hyacinth after the famous saint. The name was afterwards changed to San Jacinto – and besides the valley, the city of San Jacinto took it as well. 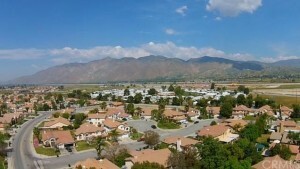 Tourism is active in the San Jacinto Valley, and most of it occurs near the city of San Jacinto. The thermal and hot springs baths settled along the northside of the Valley are among the pillars of the tourism, and the hotspots that triggered the development of resorts, hotels, guest cabins as well as houses. However, the beauty of the San Jacinto Mountains welcomes many hikers, mountain bikers as well as nature hedonists to settle in and explore the amazing landscapes and breathtaking views on the San Jacinto Valley. The city of San Jacinto, CA is small, however not one that restrains the community from the modern living. With a variety of pre schools, elementary schools, middle schools and high schools, San Jacinto serves a great educational purpose and is an example of a small city that excels when it comes to education, and offers various opportunities for every student. Aside from the schools, there is a library, various transportation methods, police and fire stations, emergency resources, animal services, road work and a lot of local and online resources. If you want to explore the nature outside the limits of San Jacinto, the surrounding mountains can be the best place for it. The nearby mountains offer amazing parks and trails close to San Jacinto, California. The city of San Jacinto also has a rich culture. With a museum association, the famous San Jacinto Museum as well as cinema and theatre, one can definitely entertain himself without any reserve – and enjoy the life in San Jacinto to the fullest. The Country Club at Soboba is a great and family-friendly golf club which overcomes the expectations of every tourist and local in San Jacinto. Aside from that the Estudillo Mansion is a form of a great historical memorabilia which along with the San Jacinto Museum, is the backbone of the culture and history in this Californian city. The nearby Gilman Hot Springs are also a true treat for everyone that desires the spa and thermal natural bath experience. Also, the nearby city of Hemet offers a lot fun activities for every person looking to explore the area near San Jacinto, California. There are many affordable homes in San Jacinto that offer true beauty with their amenities. With prices ranging from $50k to $1,000,000+, the homes and real estate in San Jacinto certainly tailor to everyone’s budget and taste. 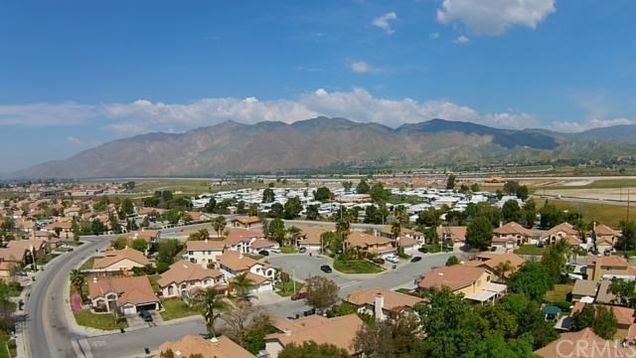 From first-time buyers to seasoned homeowners, San Jacinto welcomes everyone – as a community that contains a balance mobile home parks, 55+ communities, gated communities, HOAs and conventional homes. If you want a quality home in San Jacinto, there are many housing programs you can take advantage of, and become a part of the community in this calm place. For more information on the homes for sale and real estate marketplace in San Jacinto, CA in general – do not hesitate to contact us directly.